July's Ipsy bag was my very first time with them and I was super impressed with what I got.... First of all Ipsy is a monthly subscription service that sends out deluxe and sometimes full sized items every month for 10$ a month (15$ for Canadian's ) and every month it includes a Makeup bag that you can reuse.. 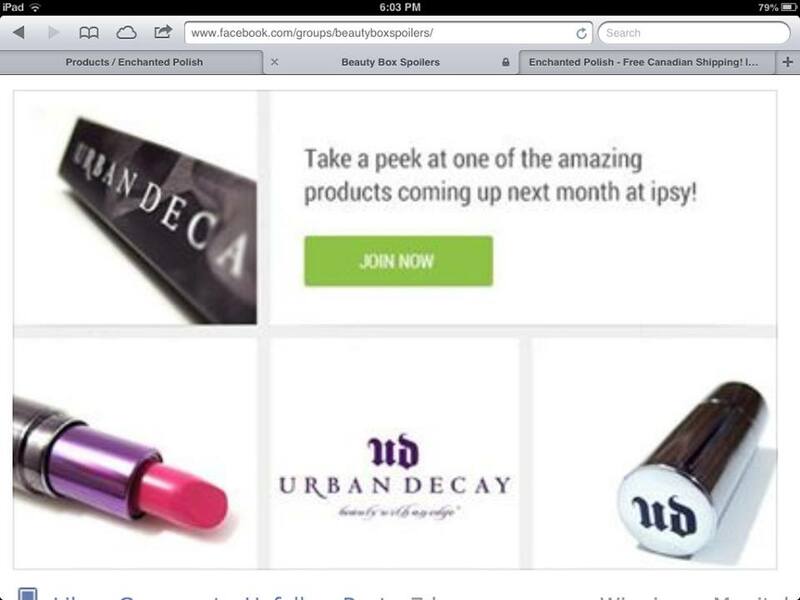 If you are currently interested in joining up with Ipsy then sign up here Ipsy Sign up .. I believe they currently have a wait list but they usually let up around the 1st of every month but I must say it's truly worth the wait none the less. So I'm going to start off the pictures with the August spoiler #1 and let me warn you it's a good one !!!!!!!! !